Did you know that alt-comics’ blue-collar curmudgeon Harvey Pekar and The Thing, the fictional rock-skinned, blue-eyed member of the Fantastic Four, went to Hebrew School together as youngsters? And that’s just one of the many oddball discoveries contained in Marvel’s latest collection of Strange Tales, a mind-melting anthology of comics madness, recently released in hardcover format. Strange Tales II follows in the first volume’s steps by handing Marvel superheroes, like Spider-Man and Thor, over to alt-comics heavyweights, like Pekar and Los Bros Hernandez, as well as awesome web cartoonists like Kate Beaton (Hark! 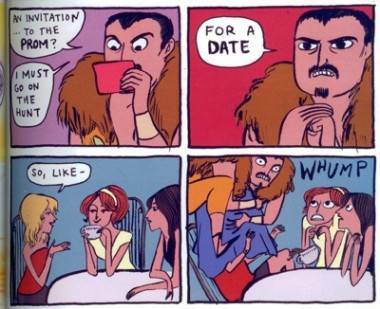 A Vagrant) and Nicholas Gurewitch (The Perry Bible Fellowship). 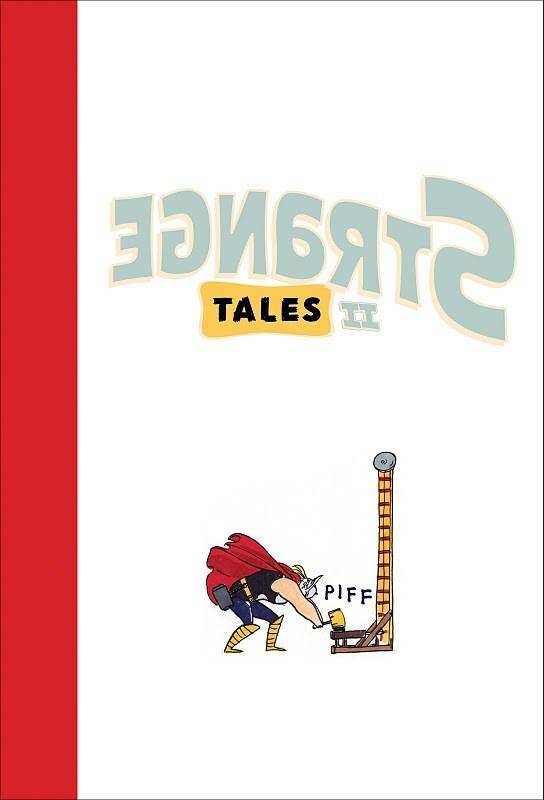 The concept behind Strange Tales has no business working. 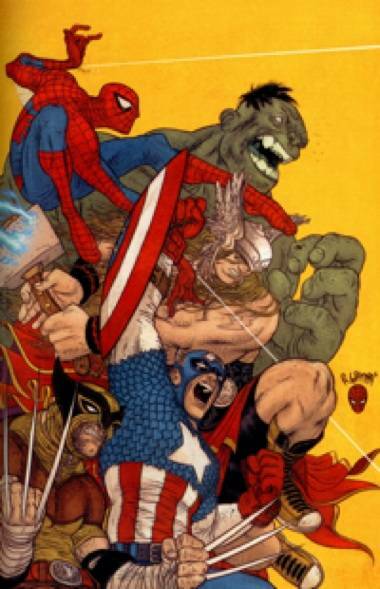 As a rule, superhero comics’ bread-and-butter are serialized, continuity-based super-epics, while alt-cartoonists generally prefer the artistic freedom to do whatever the hell they want. But the enthusiasm shown by the Strange Tales creators, playing in the Marvel’s sandbox, is infectious, for them as well as readers. 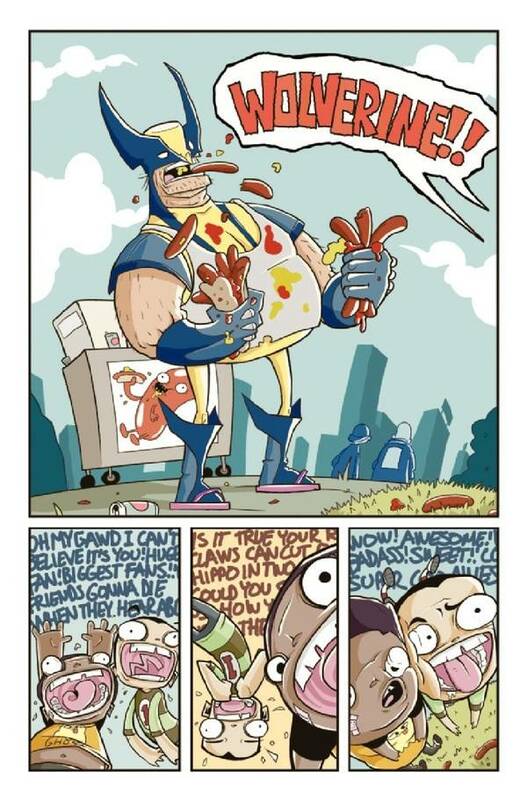 Who wouldn’t get a kick out of seeing an overweight Wolverine raiding a hotdog cart? An overweight Wolverine raiding a hot dog cart - part of Strange Tales II's magic. Art by Vasquez. Well, non-comics fans, perhaps. The book’s biggest problem is how insular it is. 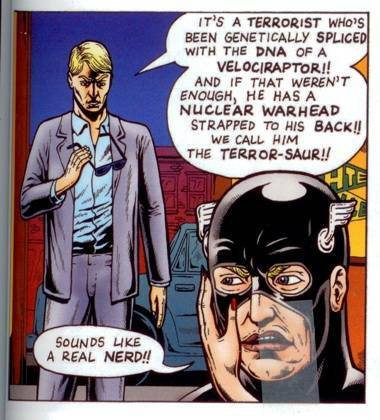 Talking about this book, even with the great comics talent and recognizable characters involved, to someone with zero comics knowledge would be a bit like Stefon, Bill Hader’s flamboyant club-kid character on SNL, recommending fake clubs, filled with hilariously obscure/made-up/absurd niches within niches. But reading Strange Tales II is like discovering your own personal Venn Diagram, showing exactly how much your interest in alt-comics intersects with your superhero preferences. And there’s enough diversity throughout the book for the two worlds to overlap in some pretty unexpected ways. Rafael Grampa art for Strange Tales II. Rafael Grampa lends his ultra-kinetic pencils to a violent cage-match with heart, starring Wolverine. Farel Dalrymple’s Spider-Man/Silver Surfer story beautifully mixes the street-level with the cosmic for a surprisingly touching story. And Dash Shaw’s contribution sees Spidey recreating his famous upside-down movie kiss, as Shaw draws panels overtop of a swirling, trippy painted page. But Kate Beaton steals the show in each of her three contributions, poking fun at superhero mythology in the same awesome way she deconstructs Canadian history and literature. (She’s also recently dipped into the DC Universe. Check out some of her sweet Lois Lane strips from last month.) Even if you know nothing of Kraven the Hunter, Beaton’s comic magic makes the lower-tier Spider-Man villain accessible and funny. Kraven the Hunter's take on speed-dating, by Kate Beaton. 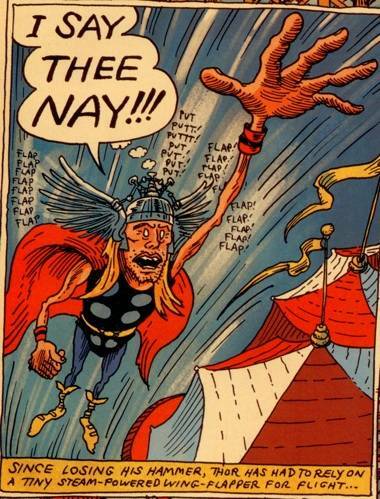 Tony Milionaire takes on Thor in Strange Tales II. With all the eclectic contributions (see also: Jeff Lemire, Jhonen Vasquez, Terry Moore and uh, more), the pace of the book is perfect. There’s only one story over six pages, unlike the first Strange Tales volume that saw a Peter Bagge Hulk story dominate a bit too much space for what it was worth. Absorbing Strange Tales II in a single reading is akin to having a crazy superhero fever dream. It jumps from a Jaime Hernandez beach party to a jaw-dropping page of Galactus destruction, to an irony-filled U.S. Agent fighting a “Terror-Saur”. And you might never look at The Thing, Wolverine and Thor the same way again. This entry was posted in Features, news, reviews, the latest and tagged news, reviews, superheroes. Bookmark the permalink.